it's no secret that leko loves tuna. he goes crazy over it. but, we're pretty big fans of tuna too. over the weekend, i was looking for a quick and simple dinner idea, and i decided to make tuna cakes. 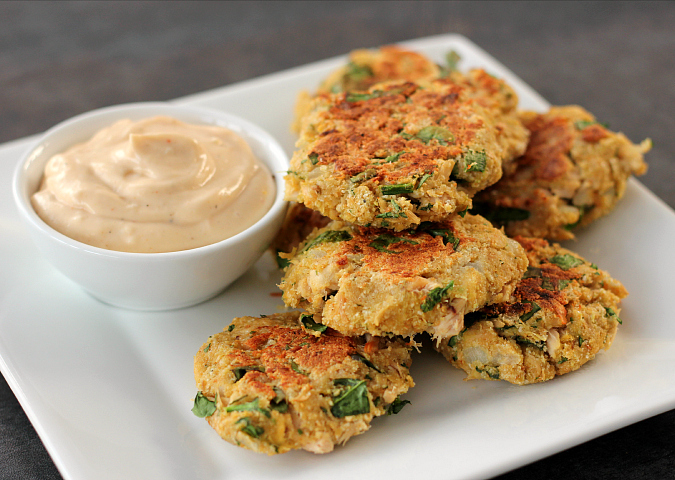 these tuna cakes are full of flavor. they are great on their own, but they are even better with a little bit of spicy mayo sauce spread on top of them. if your not a fan of tuna, you could easily substitute salmon. i used canned tuna for this recipe since it's what i had on hand, but you could easily use fresh salmon or tuna that you bake in the oven and then flake apart into small pieces. to make the tuna cakes, melt the butter in a pan and saute the minced onion on medium-low heat until translucent (about 4-5 minutes). add the minced garlic and saute for another minute. in a large bowl, combine the sauteed onion and garlic with the breadcrumbs, chopped spinach, parsley mustard, eggs, lemon juice, and tuna. mix well to combine making sure all of the mixture is evenly distributed and evenly coated. season with salt and pepper to taste. scoop 3 tablespoon sized balls of the mixture into the palm of your hands and form into a paddy. repeat with the remaining mixture. cook the fish cakes on a lightly buttered skillet or griddle for 5-6 minutes on each side until they are golden brown and cooked throughout. 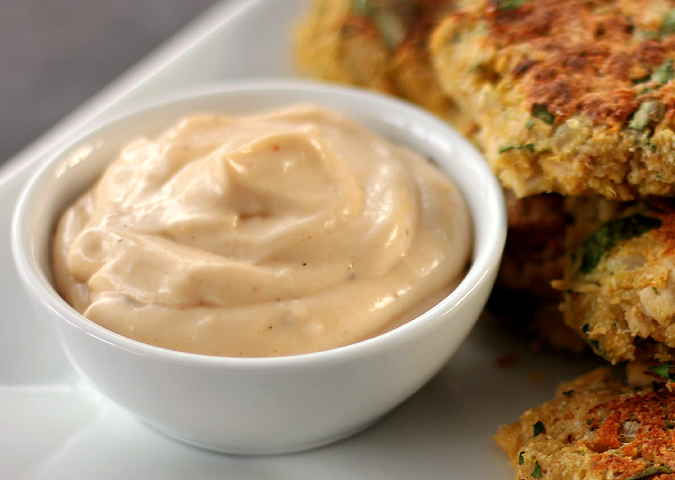 serve warm with chilled spicy mayo dipping sauce. to make the sauce, whisk the mayo, lemon juice, mustard, sriracha, and pepper together in a bowl. refrigerate until ready to serve. Now that looks healthy and delicious. 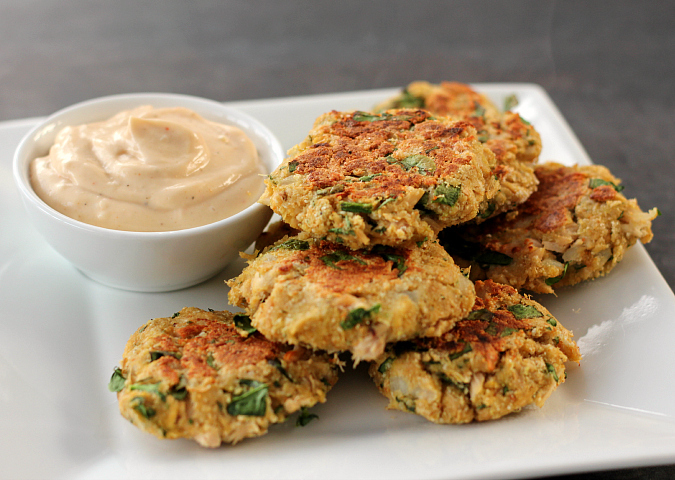 I love salmon patties, I bet I would enjoy these. Good idea with the spinach in them.